Last week’s filming of the six-chair challenge with a live audience makes reviewing this weekend’s audition shows much more efficient. This weekend’s programmes provided airplay for plenty who reportedly don’t make judges’ houses, and we can feel reasonably secure that’s the end of their chances. As the pre-Match of the Day newsreader says, if you don’t want to know the scores, look away now. Those left on the sidelines in the next round from Saturday’s show include Jamie Benkert, Zen Blythe, Danny Charles, Steven Johnson and Stephanie McCourt. 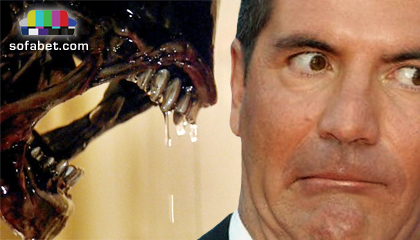 Ironically, the last-named was told by Cowell, “I don’t know who these idiots are who’ve knocked you back.” Turns out Simon would soon be including himself in that category. From Sunday’s show, those who don’t make it include Sharon Rose, Joselito Peralta, Laura Johnson, Tonatha Raihan, Jordan Luke Gage, Karen Mav, Jasmine Leigh Morris and Hannah Marie Kilminster. The latter in particular might have been an interesting prospect for the lives, and High Street bookmakers must have been delighted as unsuspecting punters backed her in to as short as 16/1. You’ll find these acts trading at longer prices in the generally more savvy Betfair outright market. In that market, the shortest of Saturday’s auditionees (through to judges’ houses according to the spoilers) is 23-year-old Simon Lynch from the Isle of Man. These origins were the basis of his smalltown-boy-looking-to-make-good backstory. These were promising words and the live shows usually find room for someone like Lynch. 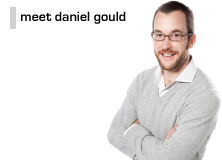 His unthreatening looks and humble demeanour are ideal for the Middle-England voting demographic. It will be interesting to see how much producers pimp him given the presumption they ideally don’t want another solo male winner. No judge got to their feet when applauding his performance on this occasion. Six-piece girlband Alien did get a standing ovation from the whole panel, and are also reportedly through to judges’ houses. The group felt like one of the more commercially relevant acts we’ve seen so far, which was reflected in judges’ comments. Cheryl noted the band were “ready-made” and that “I could go to a concert of yours now.” The girls were name-checked and given individual personalities in their opening VT, and are colour coded like JLS, only with hair. This was the third pimped group we had seen after 4th Power and The First Kings, and all three feel much more “ready-made” than many of the groups we see on the live shows – obviously so in the case of those manufactured at bootcamp, but also compared to those already formed before auditions. If producers do want to run with Alien, they may like to address the possible lack of a standout singer (Simon said, “the vocals were ok, I don’t think we’ve heard the best of you yet”), and a sense that they come across as too much the product of a London stage school. The last of Saturday’s auditionees reportedly through to judges’ houses is “nice-to-nasty” Bupsi, who has presumably been considered a more credible putative novelty over than week 1’s Techno Susan, an absentee from Simon’s reported final six. The pimp slot set-up felt horribly contrived, and it’s hard to know at this stage which direction they may take her in should she get to the lives. Sunday saw some mind games in the overs category, with two who reportedly make judges’ houses – Max Stone and Ebru Gursoy – getting much less screentime than some others who don’t. The lack of backstory afforded to either, and their inclusion in a segment of three quickfire auditions, suggests producers aren’t investing in their longevity. They can at least draw some hope from Fleur East, who also appeared to be an afterthought at this stage of proceedings last year. As a 27-year-old WGWG with a half-decent voice, Max would likely be the harder of the two for producers to shift immediately if they let him into the lives with a view to making up the numbers. Ebru had a nice tone to her voice, but looks like a more typical candidate for early weeks cannon fodder. The gamma over role would currently appear to be the best either can hope for – barring a Fleur-esque change of trajectory at judges’ houses – given the longer screentime already afforded to their rivals Jennifer Phillips in week one, Bupsi on Saturday and then Anton Stephans, who closed Sunday’s show. Arguably, Anton is the most relatable contestant seen so far, making his audition the most intriguing of the weekend. As Simon said: “you have the likeability factor, people will like you”. He can sing, too. Humble, genuine and endearingly awkward, the 45-year-old had a journeyman story, a cute dog and an appealingly soulful voice. You couldn’t help but root for him. With his vulnerability and nervous energy he’s like a cross between Chris Maloney and Andrea Faustini – both acts who hoovered up votes in the early shows before being kneecapped. As with Simon Lynch, Anton didn’t receive a judge standing ovation and presumably isn’t the kind of act producers will want winning; he may ultimately be in line for the kind of “whatever happens now, you’ve already changed your life” treatment that did for the likes of Mary Byrne and Johnny Robinson. The only other act from Sunday’s show reportedly to make judges’ houses is Che Chesterman, in the boys category, who struck us as a Craig Colton type: a physically unassuming young lad with a strong voice. 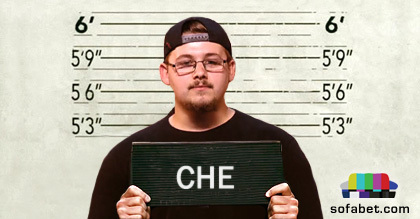 Che looked more like a Crimestoppers photofit than a pop star, although we suspect that producers may occasionally deliberately dress down some contestants at the audition stages with a view to a later style makeover becoming part of their potential journey. 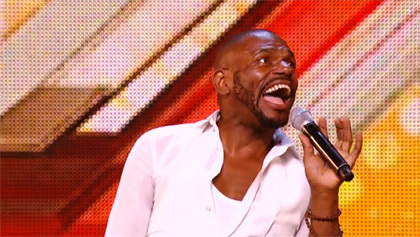 Simon told him he was “one of those rare little finds we are lucky to get on X Factor”, with a “stunning” voice. 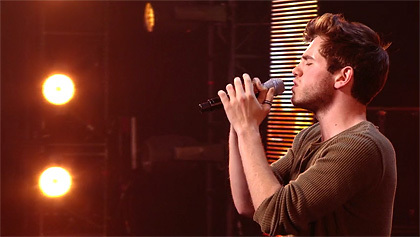 It’s interesting that three of the boys reputed to make the final six – Simon, Che and Tom – have all made a thing of going into head voice. There is presumably room for a maximum of two of them in the lives. According to the aforementioned spoilers, then, with four audition shows down and three to go we’ve now seen five of the six boys who make judges’ houses (Simon, Che, Tom, Seann and Josh), with the numbers being made up by someone messy-haired and tattooed whose name evidently isn’t yet known for sure. We’ve seen five of the overs (Jennifer, Bupsi, Max, Ebru and Anton), with a Kerianne apparently still to come. The three girls who headlined week 1 (Louisa, Lauren and Chloe) reportedly make it, and we’re still to see Monica Michael, Kiera Weathers and Havva Sonmez. Among the groups, we’ve seen three (Alien, The First Kings and in-need-of-a-new-name 4th Power), with Silver Tone, Men On Point and Becklyn still to come. Let us know your thoughts on this weekend’s shows, and anything else below. As far as JH format goes, on at least one occasion in the past they showed part of a category on Saturday and finished it on Sunday. It could just be split into one hour each, performajces and announcements, running consecutively. I think they’ve done it both ways before haven’t they? I’d imagine, the way the lengths of the show are split, that it will be all performances on Saturday and results Sunday, give the judges some time to ‘think about their decision’. If they split it with singing and results for each category at the same time, it would mean a cliffhanger between one categories performances and results (a way to build suspense for the girls?) or even squeezing one category into half an hour and giving another an hour a half. None of these things would surprise me at all, but if the performances end up being packaged as before, pre recorded, what would be the point in billing JH as live?! could we fit in six performances and comments each hour? More importantly, would 24 performances not be a bit of an endurance test?! So I don’t really know. bit of a rant, apologies for the nonsense. Hi Jess, Martin, another thing to consider is if you were in charge wouldn’t you ideally like to have 21.5 hours to decide on all 12 places, rather than have to make four sets of decisions pretty much instantly? There may be instances where e.g. if you put X through instead of Y in the boys, that means it makes more sense to have B instead of A in the overs. Re the 24 performances in 2.5 hours, don’t forget they don’t all need VTs and none of them need comments, just quizzical looks from judge to helper as the act departs the stage. Fair points all. I just wonder if they can give up the VTs, backstories and judge flattering. Was Fleur an after-thought or did they intentionally keep her under-the radar early on? There is a significant danger of acts getting over-exposed and burning out long before the final. Hi Alan, it’s undisproveable but I tend to agree with Martin below – I don’t think they’re that smart. If you think back over all the finalists in recent years there’s only two – Fleur and Little Mix – who didn’t get lots of audition screentime, all the others did. Similarly, most acts who went into the live shows looking like cannon fodder turned out to be cannon fodder. Occam’s Razor would suggest Fleur and Little Mix were probably the beneficiaries of a change of thinking rather than a cunning long-term plan. I think it would have been a bit of an odd tactic if they intended her to do as well as she did. If they knew she’d take off as she did, I’m sure she’d have been included in the room auditions at least. I honestly believe that she was intended to be early lives fodder, but pulled in more votes than intended. I think week 2 was supposed to be her limit, and she was supposed to leave after ‘it’s a shame’ (hence Mel b’s cheating comment and the unknown song choice) but she ended up being a hit. Previous alpha-girls like Tamera and Ella had crashed and burned quite badly though. I dont think it’s beyond the realms of possibility that they just tried a different tactic for once. I think Simon was genuinely impressed by her performance at JH. She had clearly put the work in between bootcamp and JH while others hadn’t. I thought she was meant to go home at JH and Robert Pattinson’s sister was meant to go through. I think she was mid-table fodder who was then hyped to replace an early favourite who refused to play the game; maybe Lauren who had a sudden negative shift in editing. Fleur’s early results don’t show her to be doing anything better than expected and she needed a lot of hype to reach the final. What is the normal sequence of events? I’m wondering if the death of Simon’s mother threw off the schedule such that the Six Chair Challenge had to be filmed after the audition episodes began airing. That would lead to the audition eps being less predictive of the future. Hi Amy Beth, good question! Checked back on wiki and you’re right, in previous years they’d usually filmed bootcamp/six chairs about 2-4 weeks before they aired the first audition show. Interestingly, the exception was 2011 when they filmed it just before the first audition episode aired and presumably too late to edit that episode. Maybe not a coincidence that was the year they appeared to get the casting so wrong? Janet Devlin and Frankie Cocozza, presumed alpha girl/boy who didn’t work out, were both introduced in that first show. The schedule wasn’t thrown out that much. The original plan was for the auditions to start on 6th July but this was cancelled, along with the 7th, with auditions starting on the 8th and carrying on to the 9th – which Rita couldn’t make. The auditions on the 14th were cancelled as well, presumably for Simon’s mum’s funeral though it was never stated. Otherwise everything is apparently, although I stress ‘apparently’, running to plan. If they planned the twist of the public picking the categories out for the judges they had to wait until after the launch to ensure maximum publicity for the stunt, hence the series being planned like this. Alien must have been put together for the show. I can’t find anything about them, no facebook, Twitter or YouTube. I looked up one member, Madison Matic and the first result was for a company called Sanimatic based in Madison. Another, Temple Angus, has a Youtube channel with no content. Couldn’t be bothered to look up the rest. All their social media accounts are AlienGlobal. Would the producers really want to risk the likes of Anton and Simon getting through to the live shows though? There are only 7 weeks worth of live shows this year – rather than the usual 10 – so throwing acts under the bus before the final will be substantially harder. Anton’s treatment really confused me also. He’s an extremely endearing guy who you want to root for but he’s like a male Sam Bailey. I don’t know if it was mentioned by someone on here or in the DS spoiler thread but I recall someone saying that at the Six Chair Challenge, Cowell without any hesitation offered Ebru and Jennifer a seat each. Ebru may not have had extensive airtime on Sunday but she looks the most marketable out of all of Simon’s category so far. I’d risk putting them through if the primary goal for this season is keeping the ratings high enough to keep the show alive, which it should be. Simon L in particular, as you need a cute young guy in each season. Worst case scenario is you wind up signing Louisa after an Ella-like finish. There’s no great commercial Bieber/1D hope in the field that must be protected at all costs, I don’t think. But don’t you think maybe the reason why some people are switching off is because the show was becoming same-old same-old? Little Mix may have been an afterthought for the producers but them winning – along with an entertaining final of themselves, Marcus and Amelia – most likely helped the show. After having hugely underwhelming finals of James/Jahmene/Chris, Sam/Nicholas/Luke and Ben/Andrea (obviously leaving out Fleur in this), I wouldn’t be surprised if Simon wants the final to be a big event this year with entertainment rather than dreary ballads. I think TPTB have forgotten in recent years that XF is primarily an entertainment show. Excellent video proving an illuminati connection with Little Mix. Having been away and only watching the first two shows the treatment of first kings stood out for as the alpha group. They pretty much had a full 15 minute segment to themselves. We’re given the opportunity to looker better than they are by comparison to the group before them who we were told had no chemistry and dated dance moves. In contrast they highlighted how the Kings knew each other and had years of friendship. It was a very very contrived edit. The cherry on the top had to be the names on big screen ( we normally have to wait until week 3 of live shows before a group gets that luxury) and then on top of that Cheryl’s comment that the one in the middle is the star with his name repeated about 4-5 times in a 20 second period. For me this was the most favourable first audition for a group I’ve seen. Disclaimer, I have not seen aliens audition yet. I would disagree Jay. Don’t get me wrong, their edit was far more favourable than the majority of group auditions we’ve seen over the years but their own VT smacked of arrogance still. Also, Cheryl’s comment about how one of them is the star effectively undermined the group. I don’t think anyone said Harry was the star of 1D (even though he was). I think 4th Power is the Alpha group. My memory is hazy, but I think it was pointed out that Liam was the lead singer at one point. After that, Harry and Zayn got a bigger share of the vocals – I can’t remember at what point this was though and it is slightly different to being called the star of the group. It reminded me of when Gary singled out Charley from The Risk – it was more annoyance, he said something like “When are you going to realise that Charley is the best one”. I think they left that week? Personally, I thought their treatment was okay. I’d put 4th Power alpha with The First Kings behind them, purely because their flashy first audition doesn’t really give them anywhere to go. It implied that they’re already at their best, we aren’t going to see any progression. I was going to reference The Risk too but I couldn’t remember whether it was them of Charlie’s original group he auditioned with. Either way, the comment doesn’t particularly help The First Kings especially when 4th Power consists of “four stars” which can be interpreted through the judges’ comments. I’d say that 4th Power are the alpha group, TFK are beta and Alien are gamma but the latter two could easily switch if the quality of their performances change. Apparently Alien are far better at the 6CC. The cynic in me suspects that the Cowellian plan for 4P is to take a ready made group and stick them on UK TV for long enough so that the public are aware of them. In terms of winning the show, they have no regional vote, presumably little friends+family vote and no school to go back to to visit. I already laid my (admittedly modest) entire bank on them in the winner category on betfair. Che is the stand out vocally for me so far. As always a purely personal opinion but if I was running “live” judges houses I’d have the actual performances still pre-recorded so you can control how much of each act you see and which part of the reaction you want to show. Then for the live element I’d do the actual telling of each act when they’re through. That’s the best/most impactful part (for the viewer) doing it live should add a lot of tension. I wonder how they’ll do the live telling of the acts? They presumably can’t do the usual thing of having one-to-one chats with each of them because the viewer would already know whether the last act to be seen would be going through or not. They could do it in pairs, I suppose, one of each going through. Or have them all lined up on the sofa while the judge circumlocutes at them a la Alan Sugar in the interview episode of the Apprentice, where he has to fire three and put two through to the final. Telling the contestants at judges houses is my most hated thing in the whole show. The bit where the “judge” says ” I’m sorry……..but you’re coming with me”. Or “it’s bad news…………you’ve made it to the lives”. Like we’ve not seen that happen six million times before already. But for them it apparently never gets old. Or where the “judge” pretends that they’re genuinely upset for someone who they all decided would be ditched at that very point weeks / months before because it would make good TV. So contrived and so cynical. Yes there are lots of ways to make it happen – maybe one by one until the final two who are given the news together. Ah, but then the viewer would always know in advance the outcome for the fourth act to be seen, because you’d know they’d have to leave it with one place open for the final two. Although they may trust that the viewer wouldn’t work that out. I’d imagine an Apprentice-style line up of the six acts would be the most dramatic. Cue lots of camera angles where you dont know which act the judge is talking to, plus it’s the only way I can think of where we’re potentially left with two acts, one through and one not. Apologies for the delayed comments this week, been a very busy time! I’m trying to aim to make one major comment each week, so apologies if I miss individual remarks. Thanks for the replies last week, Jess I did mean Lauren (the first girl) and you did get them mixed up in response to my comments. She is still my number one. Also, you are a strong commenter but unfair to be strong on the attack of comments everyone is entitled to a view! Anyway, I digress…! This weeks show was definitely heavy on the overs, unsurprisingly the same week as the news broke of Simon mentoring the overs. Personally, I can’t see any winning but plenty of potential for the lives. Anton had a belter of a voice and good for the soul demographic the show seems to be acknowledging this year. As for the boys, che and Simon… Great pair for the category. Che definitely has the most room for a journey and transformation, although could he be this years Paul Akister? But worth a shot on the current odds, at least each way (even though a young male winner seems to be best avoided along with the overs). It would be a great idea, for those that are backing acts, for us to “back together and win together” ahead of the shows, especially the lives. I really think his year is going to be a great winning year for sofabet! Also, in further support of Lauren. Theres a girl next door type like Lauren every year but they never get full producer support and never win. Shes just a younger Sam Bailey and I cant see TPTB wanting her anywhere near a record contract. Monica getting a push this year. Could be dangerous if she gets to the final. Monica is looking to get the “Alexandra Burke” treatment. Does anybody know why Skybet have gone 6/1 on Chloe Paige? So Kiera with the pimp slot, sob story edit and the presumed sixth boy, Ben Clark, is shoved in as part of a montage. Were they the only two acts from the final 24 who were shown tonight? Would it be fair to assume that the main show is (mostly) full of acts that have been scouted, and the real auditionees are on The Xtra Factor these days? That’s how it feels watching the 2 shows back to back. By the way – I don’t feel like I’ve watched the winner yet this year. Oh I know that I probably have. I just don’t feel like it. You mean no-one with James Arthur, Sam Bailey or Ben Haenow’s star quality? Lets face it the show hasnt really found any winners for a good while now. Thats why Olly Murs is presenting. To remind you that it does occassionally unearth someone worthwhile. Ella from Series 9, probably. James could have had more of a chance if he wasn’t so controversial, not that that always stops a star act. They really need to get at least one of Ben or Fleur off the ground, just to prove the show can still produce winners. But, as alluded to by a certain book reviewed on here this weekend, winning has never meant success – right from the off. Phil, I havs read elsewhere that 22 of the 24 JH acts were scouted. Kiera is going to TPTB/Syco’s attempt to right the wrongs they made with Tamera. They’re both young, mixed-race girls with commercial looks, clear talent and a current style. The crucial difference may be that Kiera is actually likeable and non-threatening opposed to the wannabe-ghetto Tamera. Also, am I the only one who sees Kiera as a British Solange (Beyonce’s little sister)?